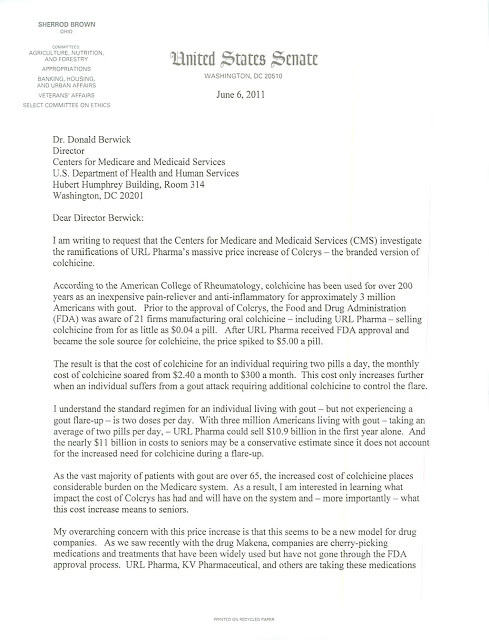 FDA started approving drugs that have been around long before the FDA was established and now their prices are soaring. Hundreds of thousands of people take Colchicine each year. The FDA said over the past 40 years, 169 deaths have been linked to the medication. A company called URL Pharma decided it would take the ancient drug, sold for 10 cents a pill, and test it as part of an FDA program to either approve these drugs or get them off the market. Colchicine is a drug that treats gout. 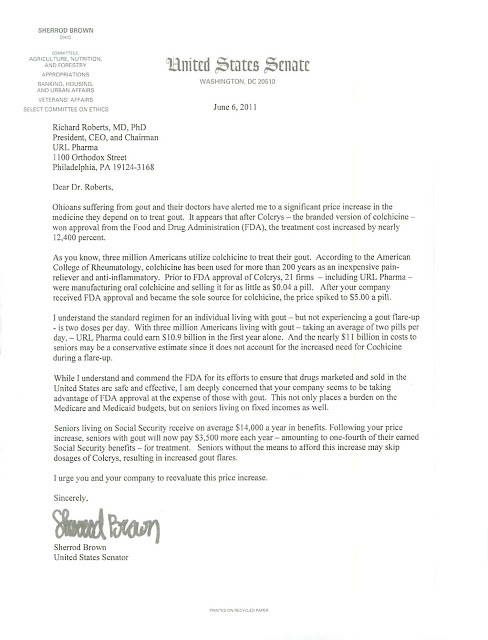 Now that the FDA is regulating Colchicine prices went up from $0.04 per pill to $5.00! – because only companies that are certified by the FDA can make this drug. Facts: One of the companies that produces Colchicine is URL PHARMA. URL PHARMA was sold for a whopping 800 million dollars. Dr. Richard Roberts was the former chairman of a pharmaceuticals company URL Pharma. Dr. Roberts is the force behind the movement against the Lakewood anti- vaxer parents. He clearly benefits from the government’s over regulation of drugs. Is he impartial enough to dictate to Lakewood parents and schools how to deal with vaccines? Well well well, I don’t know what to say. His money is called “blood-money”. Becoming rich on the misery of others. Blood-money being used for the chol hamoed circus, for the Lakewood children to enjoy. Does that atone for the blood money? some may think they can justify some of their skeletons in the closet, that way. Lets wait and see if doc rich will make another video with a counter argument. And let’s see if JLEaks wil post it….. This article makes me doubt all your others. If you really believe that one doctor, even if he’s successful, is so under the influence of “big pharma” and that is the reason why in Lakewood they’re so anti-vaccines (ignoring the world wide outcry etc. ) then your other conclusions are also pretty sketchy. Beware, this site is going the same way. When is the צאתכם לשלום party? Well I don’t think its worth attacking rich on this website since jleaks is committed to expose corruption in Lakewood Township and vaad.. however I have zero respect for this doctor he got up by a bmg tent event and literally embarrassed every ben Torah in the world what a disgrace the fact that bmg allowed him to do this is a shame on them although he donated a hefty some still our morals shouldn’t have a price tag. Reb ahron(the real one) kotler didn’t stand for this and blasted mr. Bunim on numerous occasions for attempting to sell out to bal habatim in order to raise funds for the yeshiva. How far have we strayed?? I guess Ahron hakoten has alot ro learn from the real ahron kotler. I’m not siding with anyone here but please explain how he embarrassed every ben toirah in bmg? we should not listen to anything they say because they are obviously in the pockets of big corporations. bottom line is that we should be looking at the message, not so much the messenger. And I agree with Ben Torah; lets not lose focus on what Jleaks could be most effective with. Railing against Dr Roberts will not get you that far being that he funds most of his own messages.